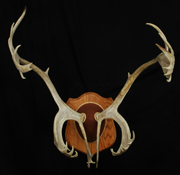 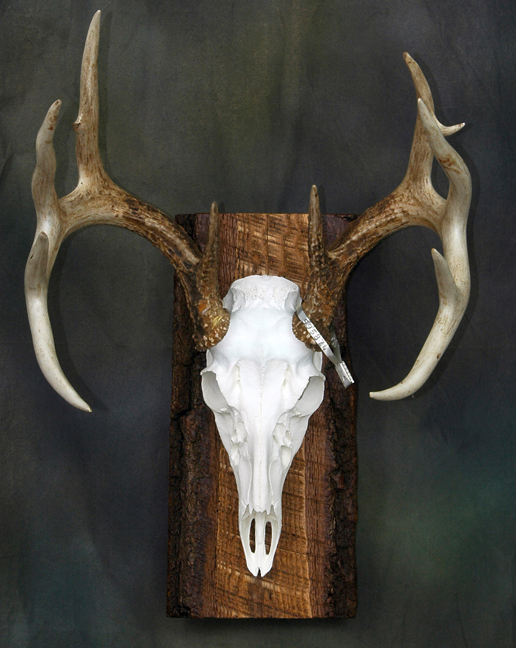 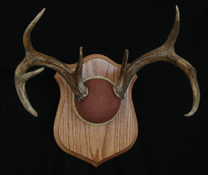 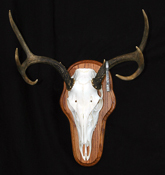 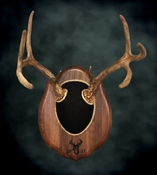 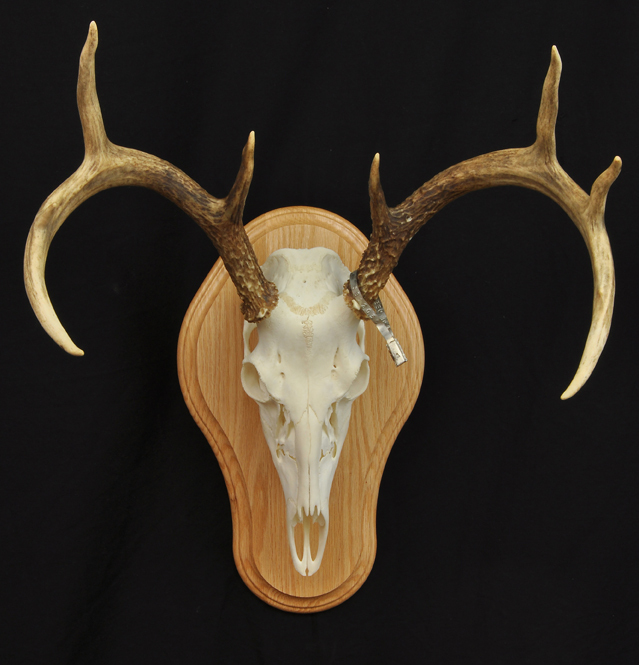 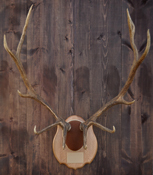 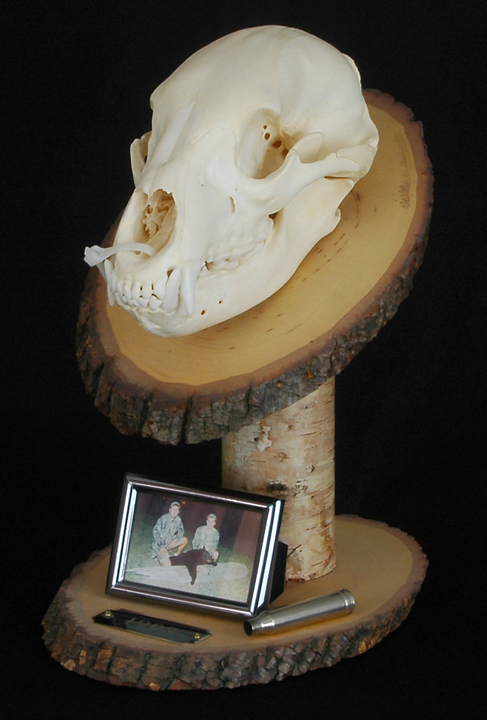 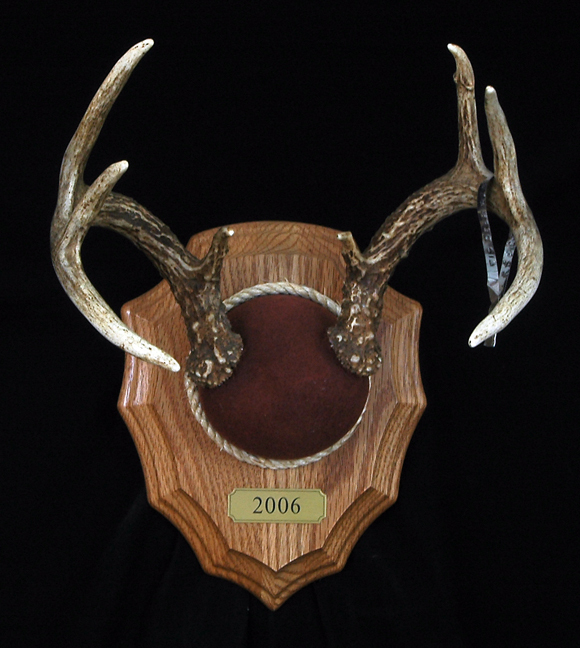 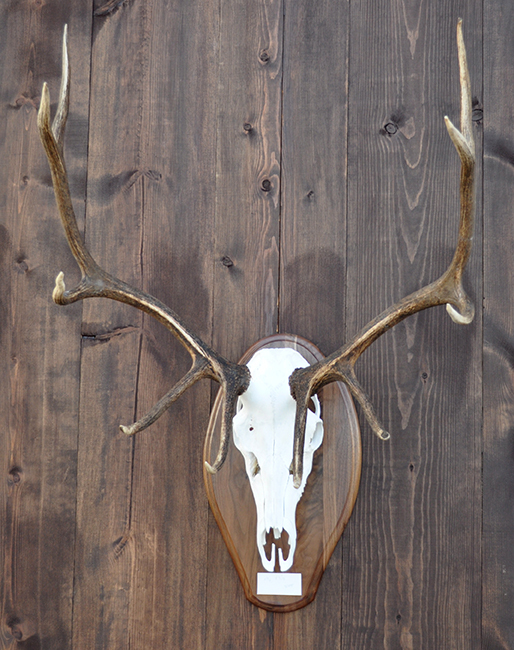 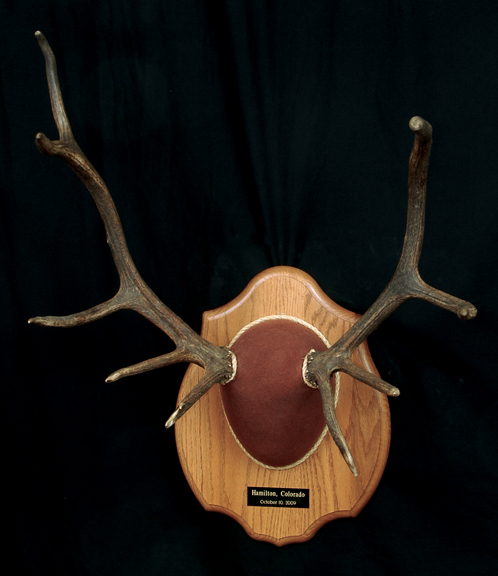 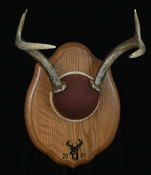 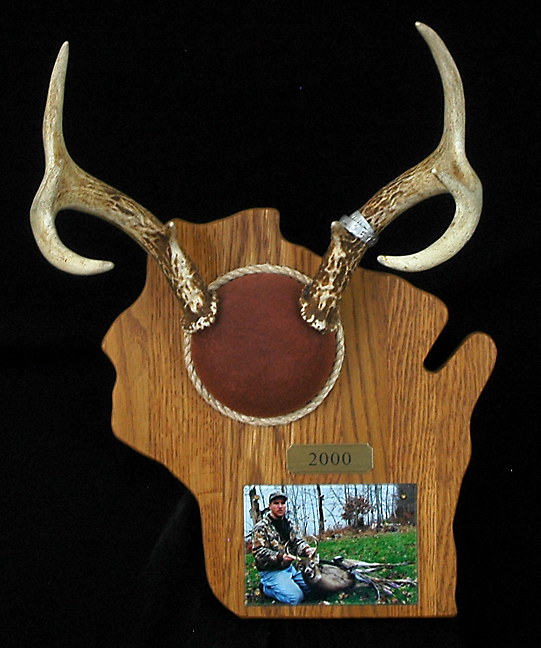 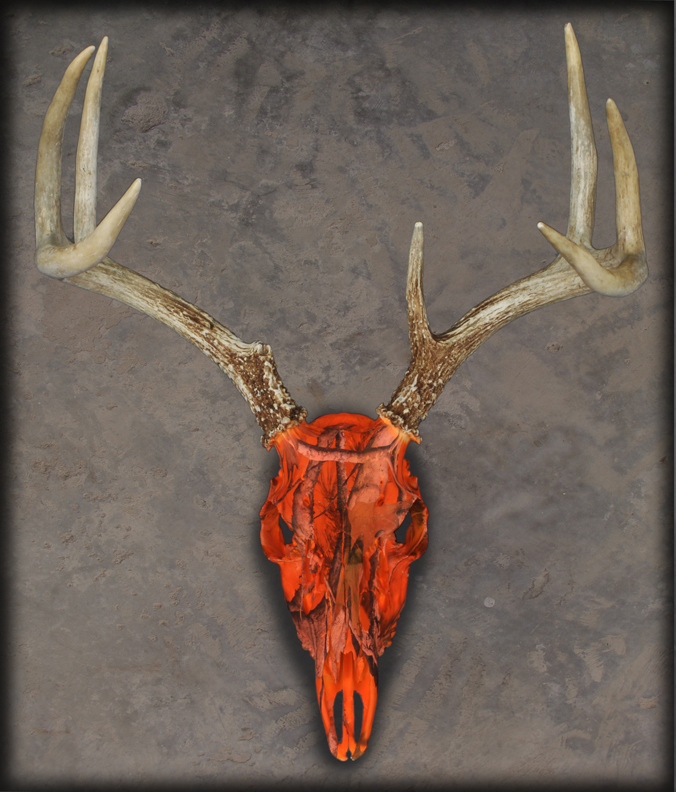 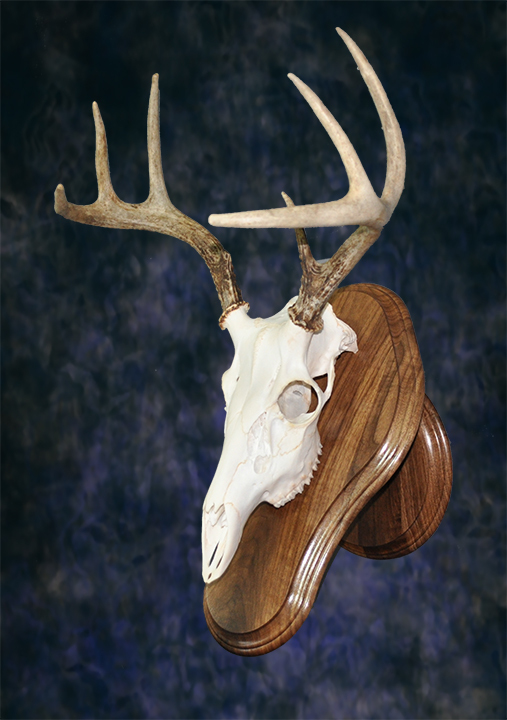 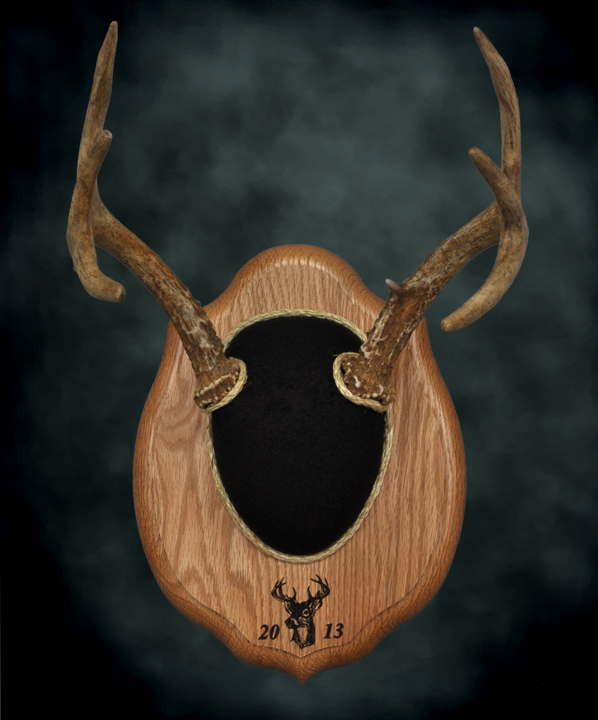 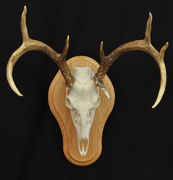 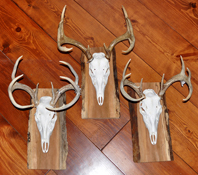 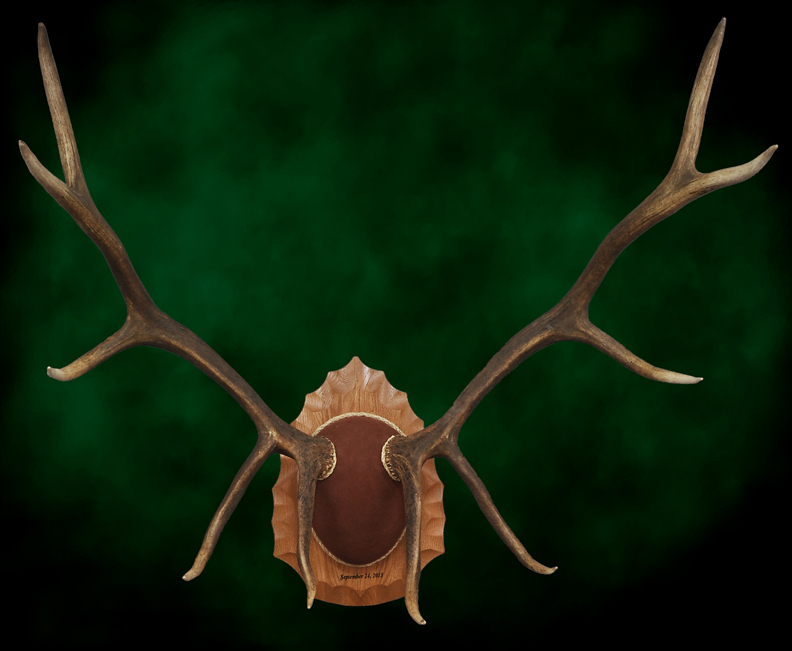 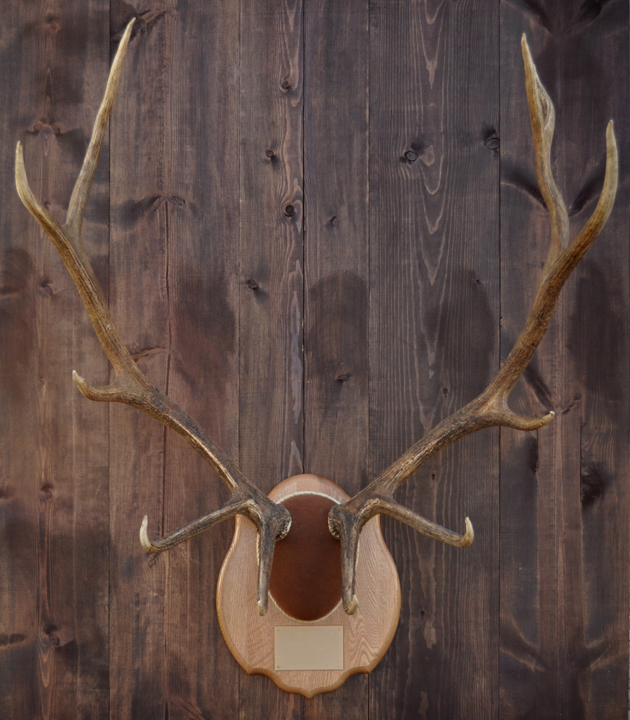 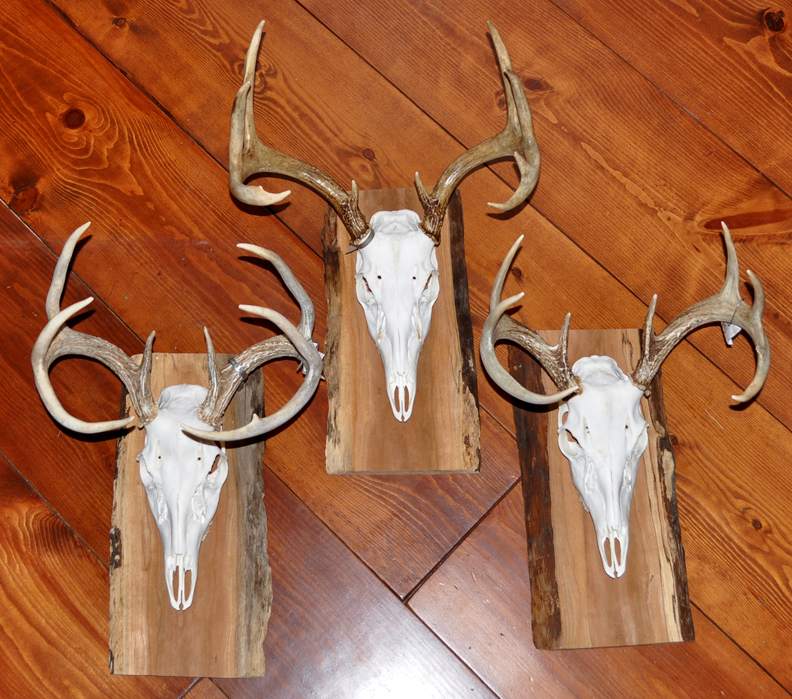 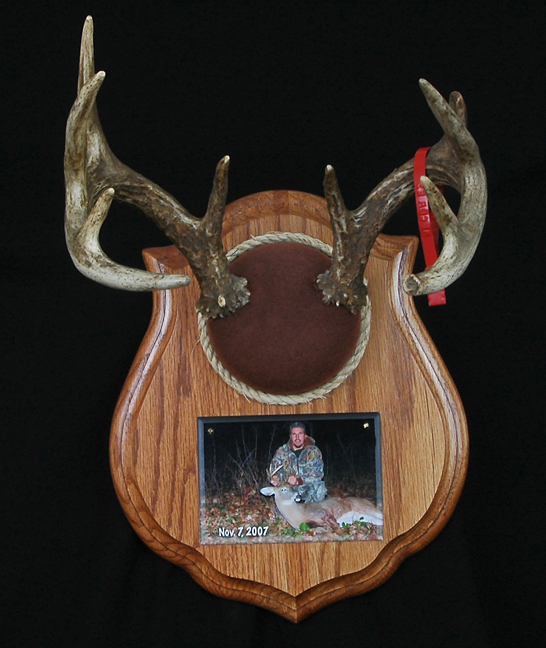 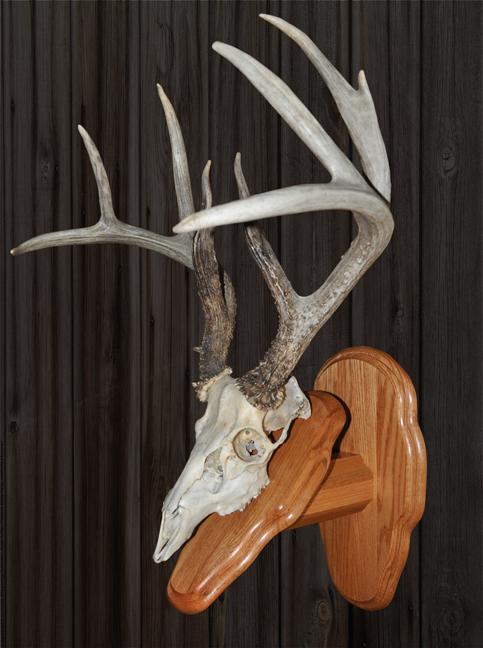 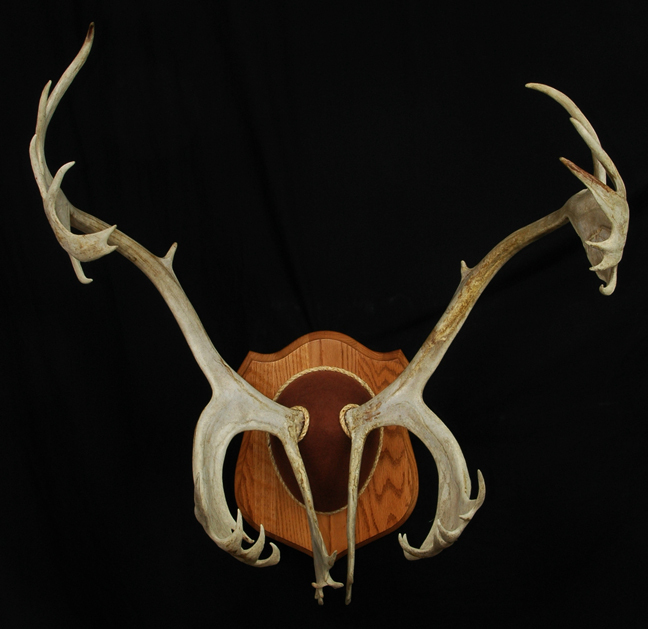 Antlers and skulls can be mounted on a variety of panels. 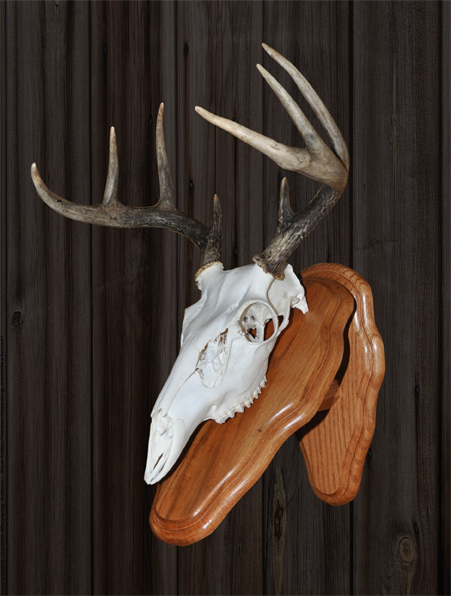 Solid oak and walnut are popular choices. They can hang on the wall or can be a freestanding pedestal designed to sit on a table, shelf or mantle. 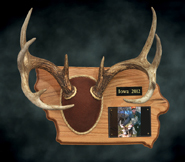 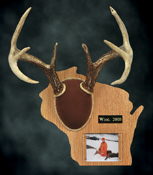 Photo holders and custom engraved brass plates are also available. 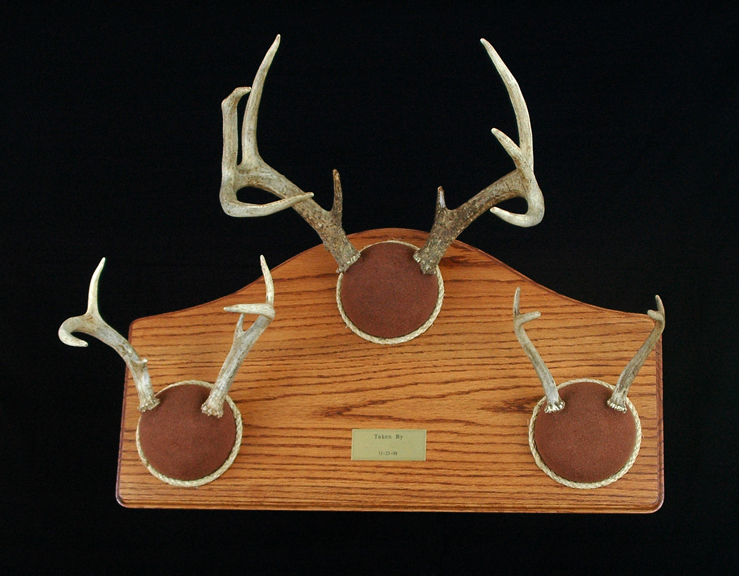 Felt colors available are brown, red and black.